Chabi Adéyèmi Marc Sylvestre DJAGOUN was born on 25th April 1981 at Cotonou, Republic of Benin. After a secondary school at CEG Godomey and CEG Okpara, he obtained his “Baccalaureat serie D”, mention “Assez Bien” at Lycée Mathieu Bouké of Parakou in 2001. He registered at University of Abomey-Calavi at Polytechnical School of Abomey-Calavi in 2001 when he graduated for the degree of Engineer in Management and Protection of Environment in 2005 with the highest distinction. Two years later, he graduated for “Diplôme d’Etudes Supérieures Spécialisées (DESS)” corresponding to professional Master of Science in Natural Resources Management. After graduating for his master of sciences (Msc) degree in 2009, Mr. DJAGOUN has started his PhD in Wildlife Conservation Ecology with focus on bovid species feeding and foraging ecology, which has been completed in 2013. 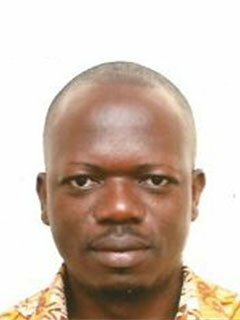 The works of Dr DJAGOUN have led to more than 15 peer-review articles both as first author or co-author, mainly in world class journals. He has also attended more than 10 international conferences and has been awarded four prestigious research grants.